Golf is an obsession for millions and now an Olympic sport. The intricacies, delicacies and finer details of the game are what set it apart to makes it one of the most loved and hated sports in the world. Golf is a rough sea of changing hope and fortune, a game of highs and lows, altercations and frustrations. At the centre of this sporting mosaic lies the swing. The way the club moves through the air determines everything from whether the ball feels like a rock or marshmallow on impact to its resulting trajectory and indeed, its destination. Every golfer dreams of the perfect swing, of hitting that monster drive, of playing that perfect approach. Coaching is essential for improvement; and even the best players in the world receive regular support. However, lessons can be expensive and sometimes self-analysis can be an easier and more rewarding option. Recording and watching your swing is a crucial first step and seeing it properly for the first time is akin to hearing the sound of your own voice. The next step is to compare your swing to one that works and who better to look to for guidance than the Pro’s? For years I have compared my swing to that of a certain Mr Eldrick Woods, believed by many to have the greatest golf swing of all time. Armed with Tiger’s footage, it should be relatively easy to compare the differences in his technique with my own. Unfortunately for amateur golfers like myself, capturing my swing in such detail is a rather expensive affair. High-speed cameras such as the Phantom typically cost in excess of $10,000. Not exactly a small time investment and a factor that has kept high-speed filming firmly planted on the professional side of the line. However, that could be all about to change. No longer will high-speed footage be a privilege reserved only for those who get special passes at tour events and wear funny green caps. A new Casio range of cameras delivers rapid frame exchange at a price that doesn’t require you to sell your Pings and get a second mortgage. The EXILM High speed range delivers high-speed filming to the masses. The new EX FS-10, EX FH-20 and EX-F1 are all capable of shooting slow-motion (which is really high-speed) video at at least 1000 fps, putting them on par with much larger, pricier commercial systems such as the Phantom. No tripod is needed and they work well in a variety of light conditions so you can leave the high-powered halogens at home. Casio’s flagship high-speed camera, the EX-F1 can shoot 1200 fps at a resolution of 336 x 96 and 300 fps (an industry standard for high speed golf analysis), at a respectable 512 x 384. This particular camera is already being employed in commercial applications such as crash dummy design due to its relative low cost to performance ratio. The cameras are already available for purchase in the US. 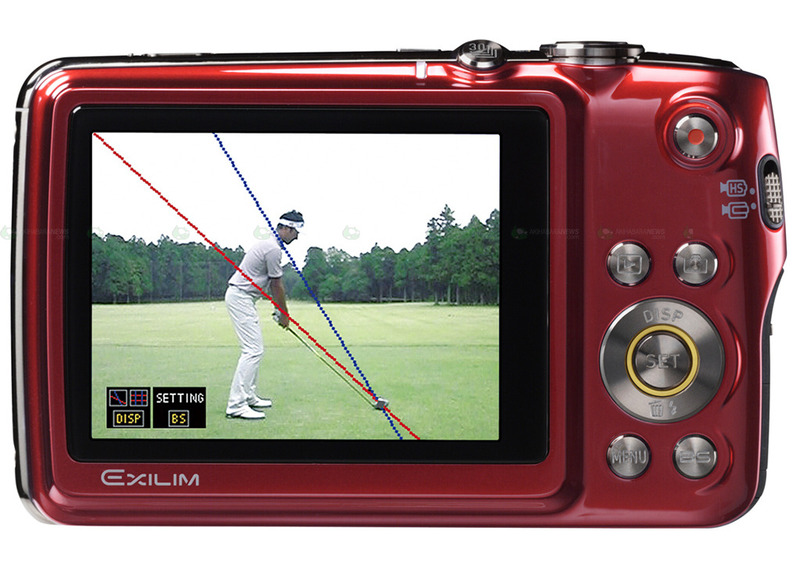 However, most interesting is the recent announcement of the addition of some virtual golf pro firmware to a new version of the EX FS-10. Casio clearly understand the impact their cameras are going to have on the golfing market. 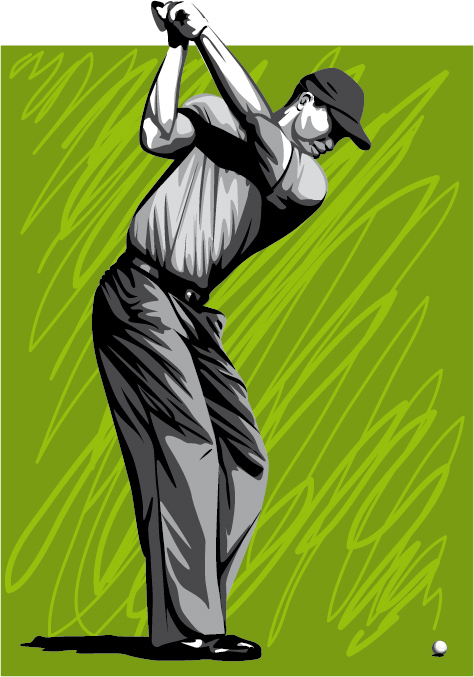 The firmware will allow the posture and swing plane of the player to be analysed in tandem with the high-speed video modes. In video review, corrective positions for key body parts such as the head and elbow as well as adjustments in spine angle are suggested in an attempt to improve general swing technique. This means that as well as being able to see what your swing looks like in glorious slow motion and compare it to Tiger’s; you can get advice on how to improve it, straight from the camera. How exactly the feedback is given will be an essential component to the success of the product. As the general population is being targeted the information needs to be easy to understand and interpret without requiring expert knowledge on the golf swing. However, the system could also potentially be an affordable way for professional golf coaches to implement high-speed camera analysis into lessons. It is clear that at this resolution, it is not really possible to capture the entire swing, rendering the accompanying software somewhat useless at the maximum frame rate. Having said that, at 210 fps, which is still quite high, the resolution is 480 x 360, which is actually not too bad. This is most likely the frame rate for which the firmware update is intended and at which it will be most effective. The high-speed capability paired with the virtual pro feature comes as a surprise, and a very pleasant one. It is important to note that this technology has been implemented in a consumer product rather than at the top end of the EX line, meaning it is going to be available to the average golfer. Sadly the firmware will initially only be made available in Japan. Possibly to test the waters before the all-important US golf market is targeted. Not that the firmware itself is essential. You can download a whole host of swing analysis software online, with features exceeding those to be implemented in the EX-FS10. What sets the Casio firmware apart is the ability to analyse on the go, which makes it ideal for swing tweaks on the course or at the driving range. The release of cameras with such high-speed capabilities highlights the sharp rise we are seeing in imaging technology. For instance, at the top end of the scale, the latest Phantom V710 allows for a 7520 fps capture at full resolution (1280x 800). At an equivalent resolution to the 1000 fps on the Casio Ex-FX10, the Phantom can capture an astonishing 288,800 fps. It is only a matter of time before some of this high-speed filming prowess further trickles down to the consumer market. The new Casio EX-FS10 with Virtual pro firmware will be released in Japan on November 26th 2009, with an RRP of around $350. I have a feeling we are going to be seeing a lot more slow motion golf swings on youtube very soon.